Tackle any mess with less. 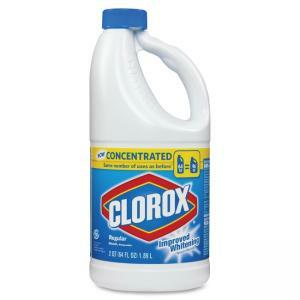 Clorox regular bleach is concentrated to pack the whitening and dirt-fighting power you demand, all in a smaller, easy-to-use package. Plus, it disinfects to kill 99.9 percent of germs and bacteria. Concentrated formula provides improved whitening on clothes and is able to kill viruses like norovirus on hard surfaces. 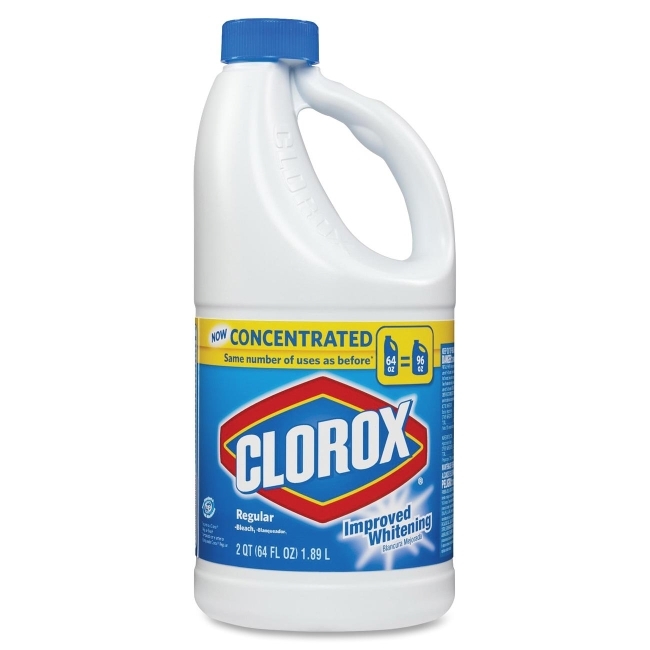 The toughest stains, like dirt, grass and food, are no match for the powerful, Clorox Concentrated Regular Bleach that helps you clean, whiten and disinfect. Smaller, easier-to-pour bottle significantly reduces the amount of water used in bleach and the amount of packaging used, which is better for the environment.